Premier LPG are established as the leading independent LPG supplier to homes and businesses in Powys and throughout North and Mid Wales. 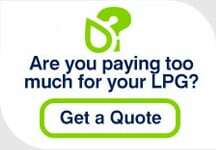 We are able to offer the best possible prices for LPG supply and great customer service. With our head office now based in Preston and with LPG tankers and drivers based at Ellesmere Port, just a stone’s throw from the M56 and M53 motorways, we are ideally placed to supply homes and businesses throughout Powys and ensures a fast, reliable and efficient delivery service to our customers. We have many happy customers in Powys who have made the switch to Premier LPG and are now enjoying a cheaper LPG supply than they had before. Thanks to recent changes to legislation, changing your LPG supplier is now quick, easy and free to do, and we are confident you will be pleasantly surprised by how much you will save with our cheaper LPG prices. If you live in a rural, residential development where properties share LPG storage tanks and LPG use is measured by a meter then Premier LPG are able to supply your LPG. LPG has proved a versatile and cost effective fuel for businesses not on the national grid and in rural Powys there are many that fall into this category. Our commercial customers use LPG for a variety of things, from heating premises, to cooking with a real flame, running Forklift Trucks and dry crops, and many other industrial and agricultural uses. Our experience and reputation within the LPG industry is built on finding solutions for businesses, great customer service and the most competitive LPG prices. Powys LPG users can find more general information on the following pages: Domestic LPG transfers, Metered LPG transfers and Commercial LPG transfers.